Nicaragua 47, 08029 Barcelona, Spain. Hotel City Park Nicaragua is a 4 star urban hotel located in one of Barcelona´s main business areas, very close to Sants train station and España Square, a neuralgic centre for all the bus lines in the city and beside the Exhibition Centre where the most important trade fairs take place. 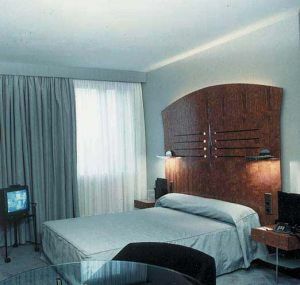 The hotel 80 rooms are equipped with all the comforts of a top quality hotel and are totally soundproofed. The hotel also has an outdoor terrace opened from May to September, with lobby bar, restaurant and a wide range of services to meet the needs of its privileged guests. WiFi is available (extra charge). 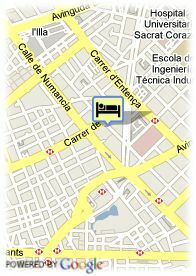 Free covered parking at the hotel, Paid open air parking at the hotel (17.40 €).